The strength of VisTitle lies in the range of possiblities that the software offers as a plug-in for EDIUS. VisTitle offers a clear menu structure and presets, so you can immediately start being creative - even when your are new to the software. Advanced users can adjust all settings accordingly to their individual needs and create complex compositions. With VisTitle you can not only create subtitles or rolling titles but also complex 3D animations. Since VisTitle was designed for EDIUS it can be integrated seamlessly and guarantees an ideal workflow. Have you worked already with a motion graphics program? If so then you might know how long it takes to learn such a software, before you can really achieve good results. But when not used regularly lots of functionalities will be forgotten soon again. In VisTitle it is easy even for beginners to choose the right object from a variety of professional presets and add it to the timeline (for e.g. for a subtitle). With only few clicks all presets can be customized. Double click on the VisTitle clip on the EDIUS timeline and a menu window will open. Here you can type in typical details needed for a lower-third (like name and occupation of an interviewee). Of course all parameters can be set individually. With VisTitle you can achieve good results in very short time and with minimum effort. You can preview your work in real-time during the whole process. 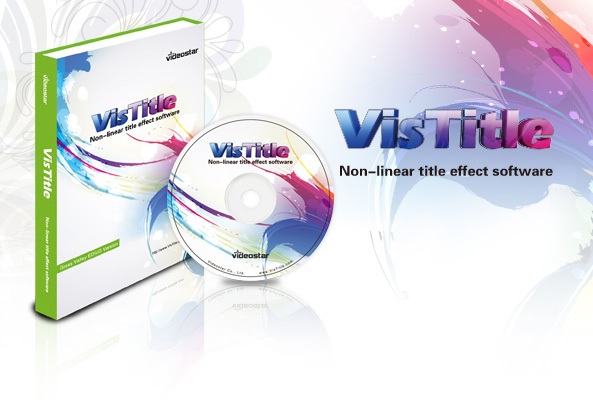 Even for ambitious users VisTitle offers almost all possibilities for a complex compositing. Various objects like animated text, 3D objects or graphics can be simply applied on a timeline. There are five additional plug-ins available to make complex animations easier to create. Tip: in the current VisTitle promo offer for EDIUS the plug-ins are already included! Supports different kinds of particle emitters, such as point emitter, line emitter, rectancle ermitter, circle emitter, box emitter, sphere emitter and so on. It also supports 3D transforming based on keyframes. Single or multiple particle streams can be included - and everything with a real-time preview. Simplifies the animation of selfmade strokes and contours. Keyframes can be set to adjust the radius and contours of the strokes - including cubic bezier. A great tool for everyone who produces Karaoke videos and knows about the difficulties to keep music and subtitles in sync. This plug-in supports the import of lyric text files as well as mp3 and wav audio files and displays the waveform in the audio track. It also allows to set titles while listening to the timeline at the same time - of course in real-time. Extrude any Bezier curve in Z direction to create 3D objects, especially used for 3D particle objects. Supports depth parameters, bevel effects with adjustable parameters and many more. The 3D Chart plug-in can be used to create 2D/3D chart animations, including cylinder, pie graph etc. The chart data can be adjusted via keyframes on the timeline. Supports 3D light and 3D chart animations based on keyframes. If you own already a VisTitle 1.x version you can upgrade to the current 2.8 version. This is anyway neccessary if you work with EDIUS 9 (or 7/8) - as VisTitle 1.x does not support 64bit. Apart from that, version 2.x was remarkably extended in its functions and now offers also a real 3D room. Besides the upgrade to version 2.8 you can also purchase all 5 addtional plug-ins which were introduced here. Tip: If you have already bought VisTitle 2.x you can get a free update to version 2.8 here. It has a direct installer included. VisTitle offers a range of possibilities while being easy to handle.